New virtual stores emerge every day. The fast-growing market, ease of access to technology and consumer demand for better customer service experience form an equation that opens many spaces in electronic retail. Below you will find 7 best ways to boost eCommerce sales, efficient steps to increase your sales, strengthen the profitability of the operation and ensure your store has more prominent and more competitive products. Attracting users to your e-commerce is key, but the entrepreneurs work does not end there. To transform the visit for sale, it is necessary to offer a pleasant experience: the user must be able to find what they are looking for and carry out the purchase in a few clicks. That’s when the usability techniques make all the difference. If the company manages to attract a lot of people to the site but does not close the sale, it is throwing money away. The site should be organized so that the buyer done not have to think too much. Solving the problem on a few screens should be the top priority of the retailer. One of the most important ways in which a potential customer will know your store is the search tools, specifically Google, the most accessed URL on the planet. It is very important that your eCommerce invest in optimizing presence and qualification in search engines (SEO). With a well-positioned website, your store will have advantages over competitors. It is worth clarifying that SEO and sponsored links are different things, although they both share the same page. In SEO, the focus is on creating relevancy between content through the relationship with search keywords. Already the sponsored links are independent of the content. Building visibility is done by bidding on an ad auction, attracting occasional customers and possibly less susceptible to loyalty. USE (many) images (of quality)! One of the factors that most influence purchases regardless of the channel (on or offline) are the products appearance. A good image is essential in selling. So have good photos! If the customer does not feel confident analyzing the product for the images you offer, it increases the likelihood of another abandoned cart, lost sale, and a wasted loyalty opportunity. Image is the main attraction for any eCommerce online store and I am sure if you improved your image quality you definitely able to increase you sales. For high quality product image different company offer you high quality image with standard price. They simple do for you clipping path service, background removal, photo retouching, web image optimization or any eCommerce product image editing. you can also check here how they do this work manually for you. Have efficiency and transparency in freight and deadlines. 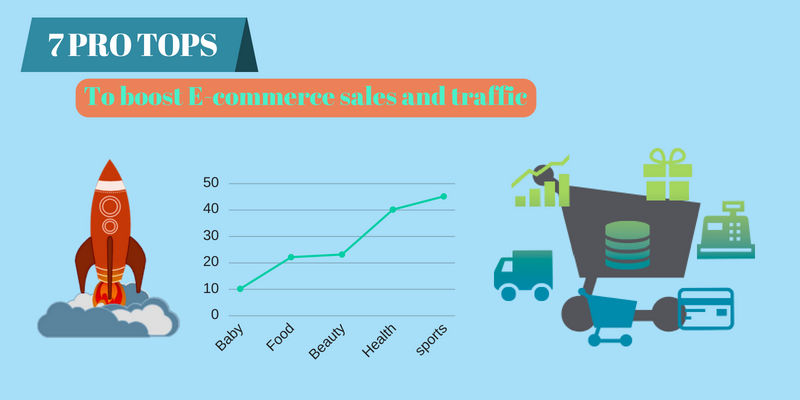 According to e-Bit, the free shipping is the second biggest stimulus to buy online and the third most decisive factor of purchase in E-commerce. In other words, the freight and delivery strategy directly influences the customer when deciding where and how to buy. In addition, the delivery time is, as well as the value of the transportation, determinant of success. Therefore, to ensure higher sales volume and more loyal customers, it is important to invest in freight gateways. By offering more transportation and time options, you give the business even more transparency and increase the chances of that purchase ending happily for everyone. Discover and bet on different and effective ways to make your product know. The generation of content by the user is one of these ways, by offering recommendations, reviews, and reviews and reach new users through the experience of those who already know your store. For this, it is worth trying different platforms, from the mobile to this blogs and mainly social network, such as twitter, which has been growing as a platform for online service. Security and trust define a large part of sales. There are still many people who are afraid to buy online due to the constant cases of fraud and bad faith in E-commerce. This is still a significant bottleneck and should be treated with attention. Therefore, digital payment systems and transaction validators must be counted that integrate all means and guarantee, above all, the perception of protection. Taking care of the integrity of your own database and protecting information that transit between browser and server is critical. Encrypting the data that travels to the server and performing the sites shielding reduces the chances of further damage. In a scenario where there are more cell phones than people and more and more traffic happens through mobile devices, investing in responsive or focused solutions in these gadgets has become no longer “the future of eCommerce” but the present. Since smartphones are almost an extension of people’s bodies, how do you overlook the opportunities to sell via apps and mobile and tablet sites? And if you already have this tool, the interesting things is to make the user experience increasingly attractive and convenient. Despite the constant growth of eCommerce, the integration of the internet into most of our day-to-day activities is noticeable. That process eCommerce to be more human. The consumer is one, regardless of the channel or time of day. Demonstrate that, on the other side of the screen, these is also a human being, it makes the experience more enjoyable. This creates loyalty and builds the reputation. Usability-oriented design and focused attention to problem-solving and creating good memories can be the difference between success and failure in our market.